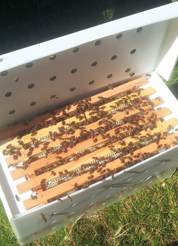 Many people think of Runny Honey as the traditional way of buying honey. The truth is that all honey starts out runny just like the bees eat it, but overtime it will granulate. Our runny honey varies in colour depending on the nectar source, it ranges from dark, almost black to very pale golden in colour. 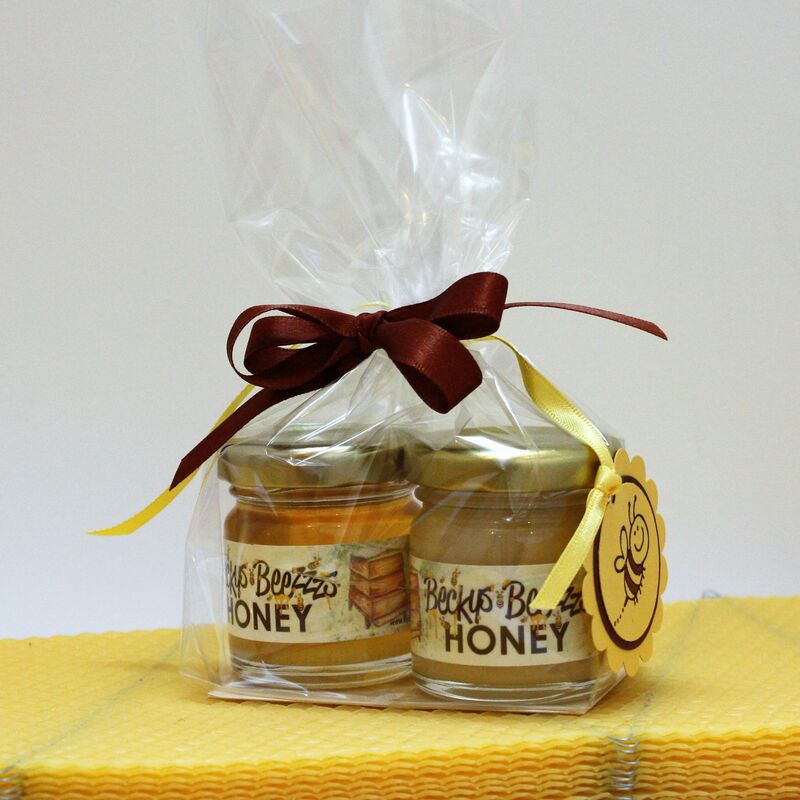 Our Soft Set Honey is made from a blend of set honey and runny honey. Unlike the granulated honey, it stays in a consistency similar to that of butter and it is smoother than granulated honey. Soft set honey is very easy & convenient to use. If kept in a cold store cupboard it will become firmer. All our honey comes from our own bees and we extract it and jar it ourselves. These 1 1/2 oz jars, wrapped in cellophane are perfect for a small gift or special occassion they make great wedding favours too. Contact us for a quote to supply as wedding favours, we can alter the labels to suit your colour scheme.